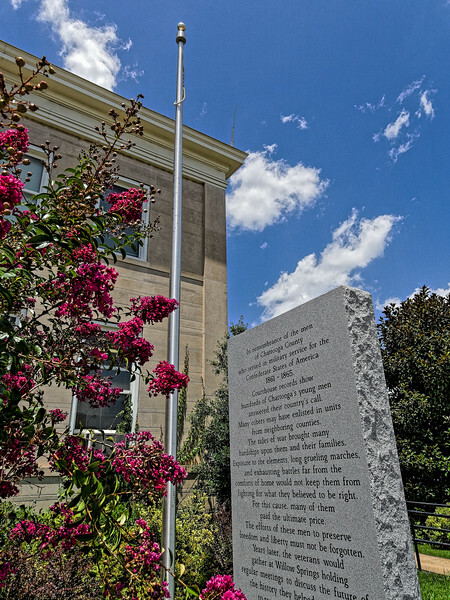 Engraving on 7-foot-tall granite monument beside Chattooga County Courthouse says "In remembrance of the men of Chattooga County who served in military service for the Confederate States of America 1861-1865." However, the Confederate flag has been removed from its pole. Summerville, Georgia.